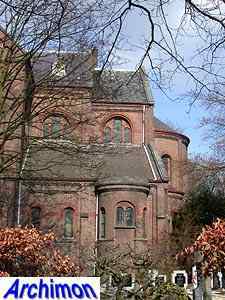 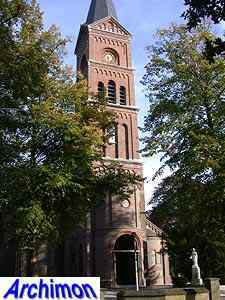 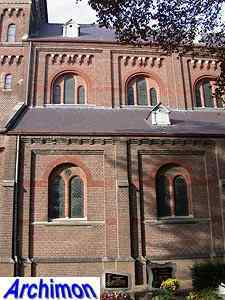 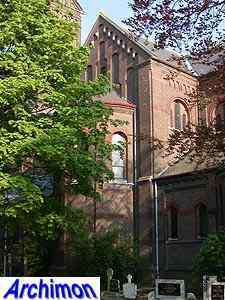 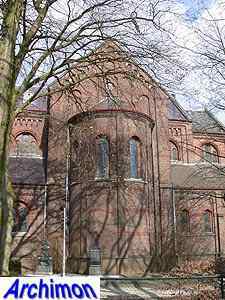 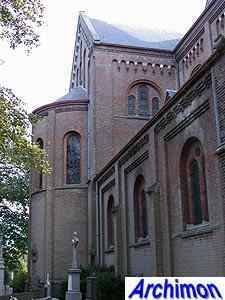 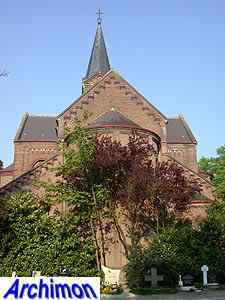 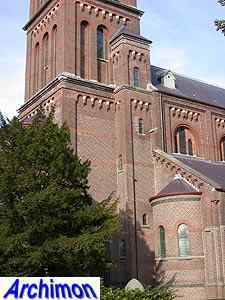 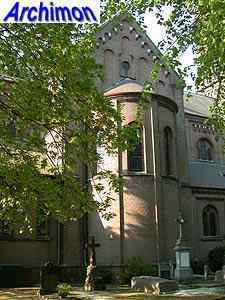 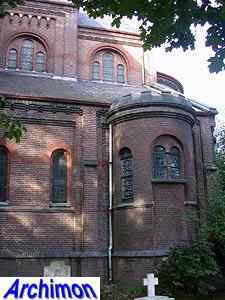 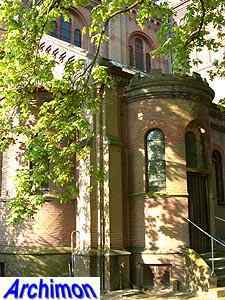 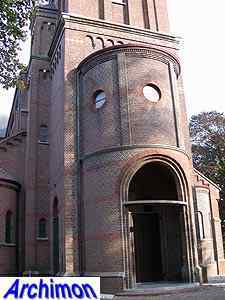 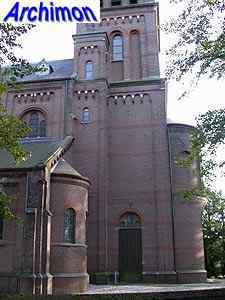 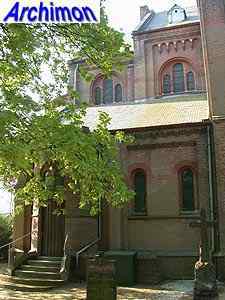 Architect Stornebrink only designed five churches and combined neo-Gothic and neo-Romanesque styles. 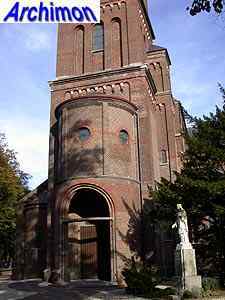 This church is mostly neo-Romanesque. 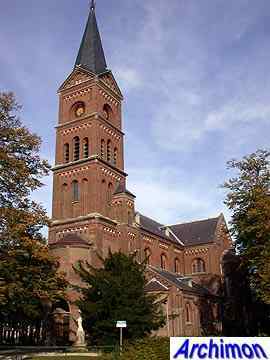 It's a three-aisled cruciform basilica in a style that was inspired by the Romanesque churches of the Rhineland. 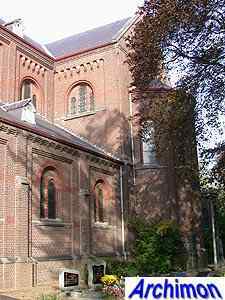 Choir and transept-arms are closed by semi-circular apses, as are the ends of the side-aisles. 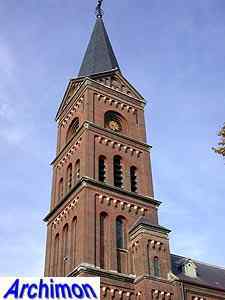 The tower consists of four segments and has an octagonal spire on top. 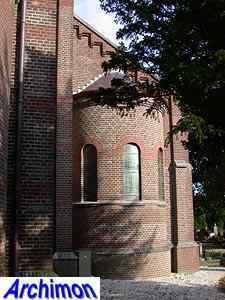 Inside, a use of Gothic contructional principles is combined with Romanesque shapes for vaults, pillars and arches. 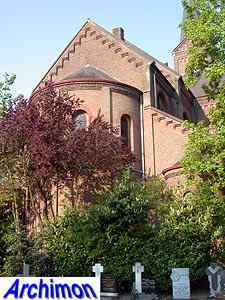 The architect also delivered much of the furniture, which was made in his workshop by P.A. 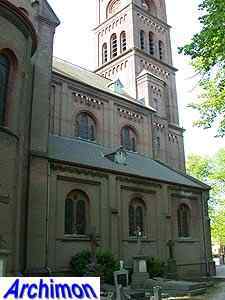 de Leeuw.